Make that three wineries, and counting, in New York’s hippest borough. Urban wineries—in most cases, facilities where juice from regionally-grown grapes is blended and bottled as well as sold in on-site tasting rooms—are a booming phenomenon in cities around the country. 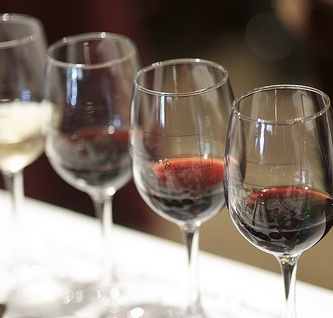 According to Visit Urban Wineries, there are urban wineries in 20 states and Canada. Seattle and Portland are in the vanguard of the trend but locavore-friendly Brooklyn is not far behind. My research has turned up Brooklyn Oenology (BOE), the oldest of the three (established 2006), and Brooklyn Winery, both in Williamsburg, and Red Hook Winery in, well, that neighborhood. All three produce small-batch, craft wines and offer them for sale through their websites—although tasting first, which you can do here, is not a bad idea. In fact, Brooklyn Winery appears to depend heavily on its wine bar business; the space is a decent size and food is also served. BOE and Red Hook Winery feature more traditional tasting rooms. BOE and Red Hook wines are made exclusively from New York State grapes—that is, mostly from Long Island’s North Fork and the Finger Lakes. Brooklyn Winery’s whites tend to be sourced from Finger Lakes vineyards but their reds look to come mostly from California; their online descriptions are quite specific about appellations and production methods. Prices? For all three producers, they fall mostly in the $20 to $35 range. I got turned on to Red Hook with their 2012 Chardonnay/Sauvignon Blanc blend at Bin 14 in Hoboken, but I don’t see it listed as available on Red Hook’s site. Next up: a field trip across the East River to investigate.